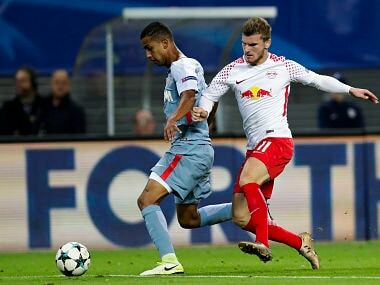 Leipzig: Youri Tielemans levelled a minute after Emil Forsberg's opener for RB Leipzig to salvage a 1-1 draw for French champions Monaco in the Champions League on Wednesday. With Leipzig making their competition debut, Forsberg's goal raised the roof at the Red Bull Arena. It will go down in history as his club's first on European football's biggest stage, though it is unlikely to be their last. "It’s something special to have score Leipzig’s first ever goal in the Champions League," said Forsberg after the game. Despite their inexperience at this exalted level, Leipzig appeared undaunted in this Group G tie. Teenager Dayot Upamecano was imperious at the back, while in-form striker Timo Werner looked dangerous up front. With Monaco's back line holding firm, and their wingers Djibril Sidibe and Adama Diakhaby struggling to strike on the counter-attack, there were few chances to speak of in the opening half an hour. But in the 33rd minute, Leipzig struck. Swedish winger Forsberg found space on the left and blasted the ball past Diego Benaglio at the near post. The euphoria, though, was short-lived as a deep cross from Sidibe found Diakhaby, who nodded the ball down for Tielemans to prod past Peter Gulacsi. "The coach told me I’d play as the second attacker and talked to me about my positioning and I think it went well for me," said Tielemans. Werner, who had twice come centimetres from scoring in the first half, was threatening again after the break, and began to pick up more space as he was switched to a wider position on the left. "It was obviously an incredible feeling today," said 21-year-old striker Werner. "We were desperate to win today, but sadly we couldn’t quite do it." Several half-chances fell Werner's way, but it was Jean-Kevin Augustin who came closest to breaking the deadlock, denied in a one-on-one with Benaglio. 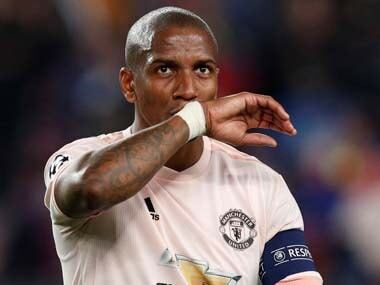 He had another chance in injury time, breaking free of the defence in the Monaco penalty area, only to be called offside. Yet on a night where neither side reached their penetrative best, it ended a point apiece. Leipzig's Champions League debut crowned a blistering rise from the lower leagues since their founding in 2009. After finishing second in the Bundesliga last season, the club were celebrating the biggest night of their history against Monaco. 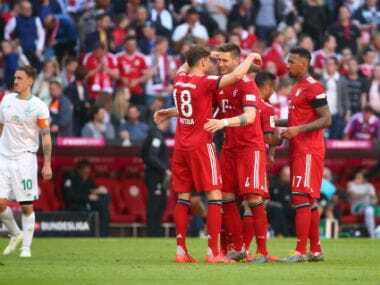 Against more experienced opposition and without their star midfielder Naby Keita, it was not a given that they would avoid defeat in their maiden Champions League appearance. Many of those on the pitch had played for Leipzig since the club was in the second or third division. Few had any idea how RB's still young squad would react to the pressure of playing on club football's biggest stage. The more dangerous side over long periods, Leipzig will nonetheless be as happy as Monaco with the draw. Leipzig next face Besiktas in Turkey, with Monaco hosting Porto.